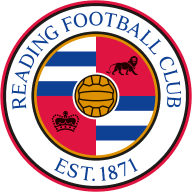 Highlights of the Sky Bet Championship match between Sheffield Wednesday and Reading. 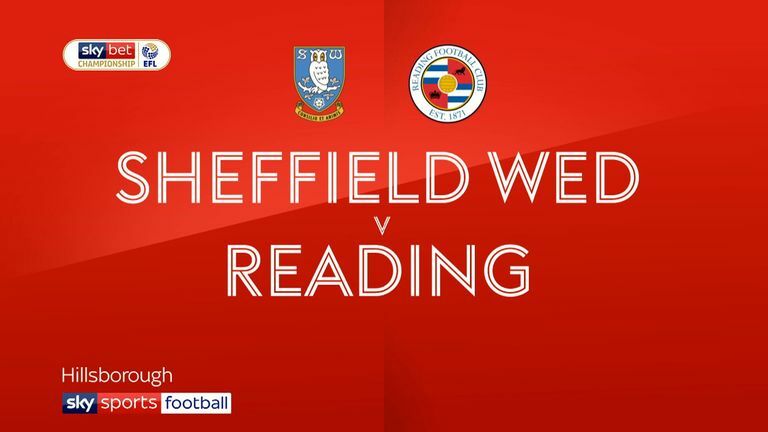 Sheffield Wednesday were held to a frustrating 0-0 draw at home to relegation-threatened Reading. Despite controlling the majority of the contest and creating several chances, the Owls could not break the deadlock in Steve Bruce's first home game in charge. Within two minutes Wednesday forced the first save out of Emi Martinez. The ball was loose after a short corner and fell to George Boyd who forced a great save from the Argentine at close range. A quarter-of-an-hour in it was Keiren Westwood's turn to be called into action. Sone Aluko aimed an accurate cross into Liam Moore who directed the ball towards goal, his effort took a deflection and Westwood made a brilliant save, tipping the ball wide of his near post. Ten minutes later Wednesday missed a great chance from a corner when Morgan Fox was left unmarked at the back post but could not steer his header on target. Despite being on the back foot for the majority of the half, Reading were a threat on the break. Tyler Blackett made a good run down the right-hand side and pulled the ball back for Lewis Baker just outside the box, however his effort deflected wide of the target. Martinez was then called into action again. 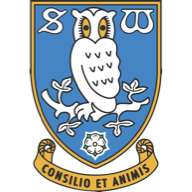 Barry Bannan intercepted, found Fernando Forestieri who sent the ball over the top to Fletcher who cut inside and forced Martinez into a good save down low to his left. With the first half winding down, Reading nearly took the lead. A long ball was sent over the top to Modou Barrow, however the angle was not ideal and with options arriving in the box he went alone and forced Westwood into a good block. Seconds later Sam Hutchinson played a one-two with Forestieri deep in the area, however with defenders closing down he aimed his shot straight at Martinez, who reacted well from close range to block the shot. Only a few minutes after the break, Aluko was sent through on goal, however he was denied at the last second by a great block from Michael Hector. The loose ball found Aluko again and his effort was deflected wide at the second attempt. Moments later Reading went closer. Baker was found in space and let fly from 25 yards, his effort took a deflection and Westwood made good save, tipping the looping effort over the bar. In the 65th minute, Rolando Aarons was brought on for his debut for the hosts and had an immediate effect on the game with his pace. However, he spurned a great chance to send Fletcher through on goal from the right wing and went alone, but he was quickly crowded out and his attempted pass to Forestieri was cleared. Late on, a mix-up in Wednesday's defence almost gifted the Royals the winner. Fox played a dangerous pass across his own goal, Yakou Meite got to the ball first, but could not beat Westwood who was quick off his line. In the dying minutes the Owls made a final push for the winner. Bannan worked his way deep into the box and, crowded out, he managed to find Reach in space 20 yards out, but he put his effort wide. In stoppage time the hosts spurned their best chance of the half. Liam Palmer, on the overlap, found Reach six yards out, but he scooped his effort over the bar. Steve Bruce: "It was frustrating. I always knew, seeing the forecast yesterday, how difficult it was going to be. For a footballer it's the worst conditions to have that horrible swirling wind and it certainly swirled today. The disappointment is we didn't take the real big chances, especially in the first half. In the second they had a 20-minute spell which, to be fair, Reading changed a little bit. They went more direct." "Overall I've only been here a week and thankfully, we've kept another clean sheet. The remit to start with if you're conceding two goals every week, you're going to get beat and that's one thing we've arrested. Now we just need to be a bit more clinical. We had five or six big chances." Jose Gomes: "I'm not pleased for the result because we tried to play to get the three points. In the first half, Sheffield played better, created better chances. In the second half, we played better so I think it is a fair result. "The idea was to play football and we were just defending during the first half. We were more concerned to stop the Sheffield offensive actions than play properly under our process. I'm not happy with the way we played. We played a lot of direct football at a very heavy ground, with windy weather. It wasn't easy for the players but I think my players could play more times under our process, so hopefully in our next match on Wednesday, we'll have the chance to play better football."